They are assembled quickly and simply without tools, providing optimum product flexibility and availability. If a coil does need to be replaced, it can be done without stopping or draining any system. 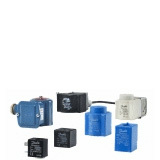 Danfoss solenoid valves and coils are usually ordered separately to allow maximum flexibility, enabling you to select a valve and coil combination to best suit your needs. 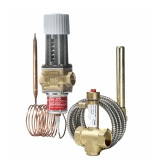 The Danfoss coil program consists of both the easy-to-handle Clip-On system and traditional coils with a threaded fastener. Also, with approvals such as EEx/ATEX and UL, we offer a wide range of application-specific coils for e.g. steam or hazardous areas. 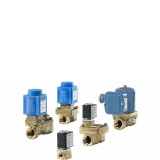 Pneumatically operated valves are designed for more specialised applications, such as Media with high dirt content, media with high viscosity, high ambient temperatures, large flow quantities, damp environments and where there is a risk of explosion. 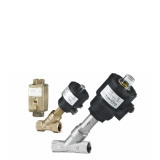 The valves are available with a remote or built-in sensor.